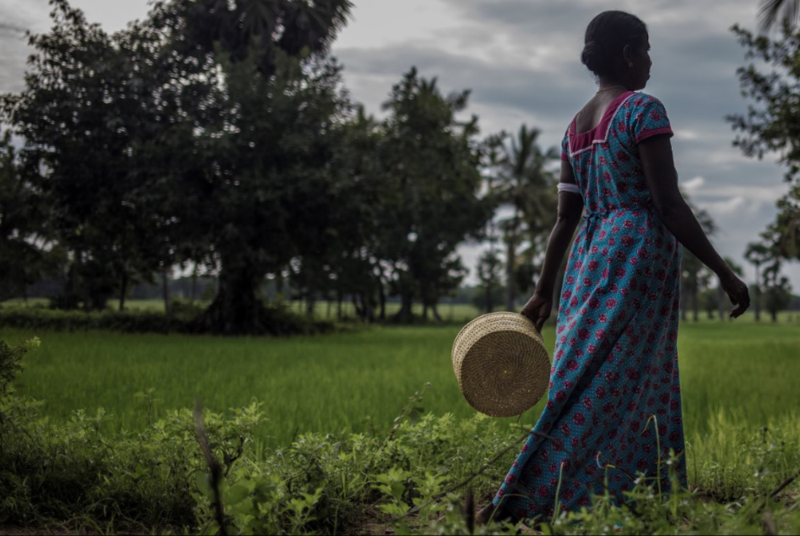 Rural women in Sri Lanka are facing a new war. 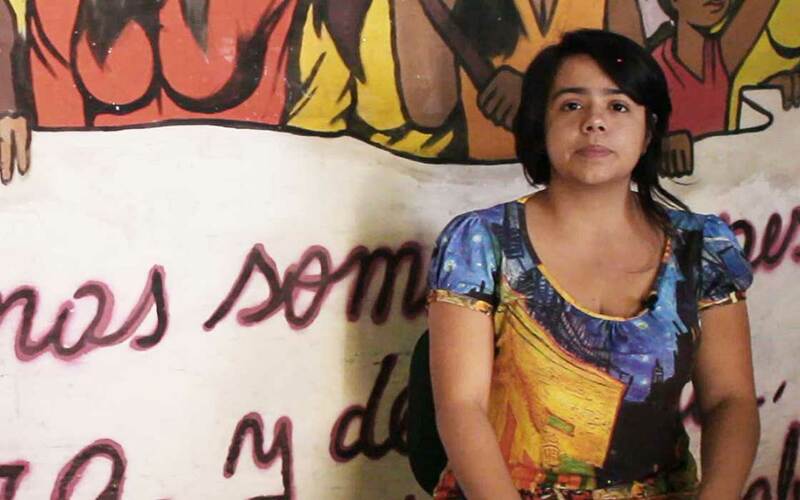 Against violence, lack of education and incomes. In a new partnership with Kaviya, We Effect Asia will empower 800 women to become entrepreneurs. – I remember the day the war came, we ran out and hid behind the trees. Our house was bombed that night. 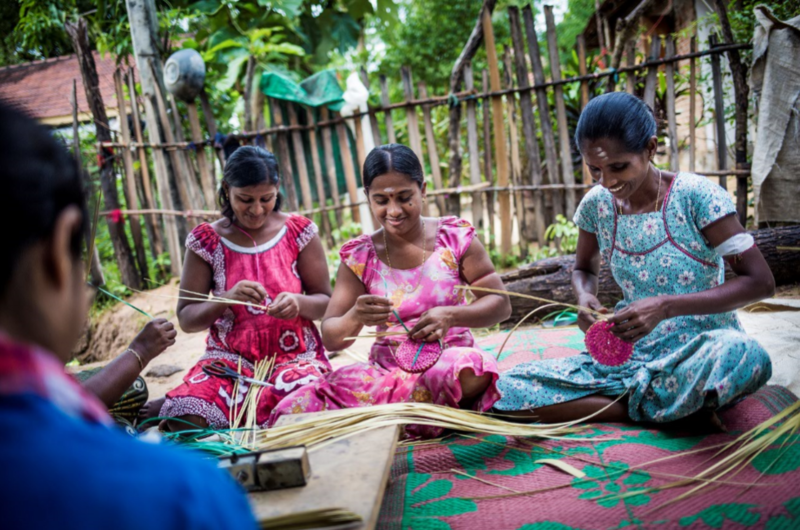 Tayabaram Vijeyalaxmi is sitting in the shade of a tree, her eyes never leave the palm leaf basket she is working on. 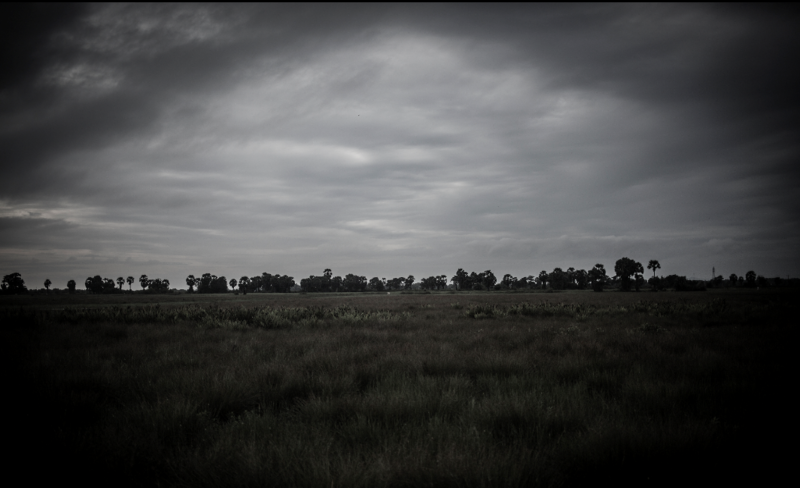 In the lush and beautiful fields surrounding the village, hundreds of people died. Vijeyalaxmi’s dad was one of them. – Our aunt took care of me and my sister. It was very difficult times. We had no food, no clothes, no water. Every day, I thought I was going to die. The civil war in Sri Lanka is over, but women are still victimized. Vijeyalaxmi had to marry at 14. Her husband was 19. It was not a legal marriage, but her aunt saw no other way out. Marriage meant safety. And kids, cooking, cleaning, and dropping out of school. – Women like me only cook and take care of the kids. We do not earn any money. Sometimes I wonder, why was I born as a woman. Vijeyalaxmi’s situation is far from an exception. 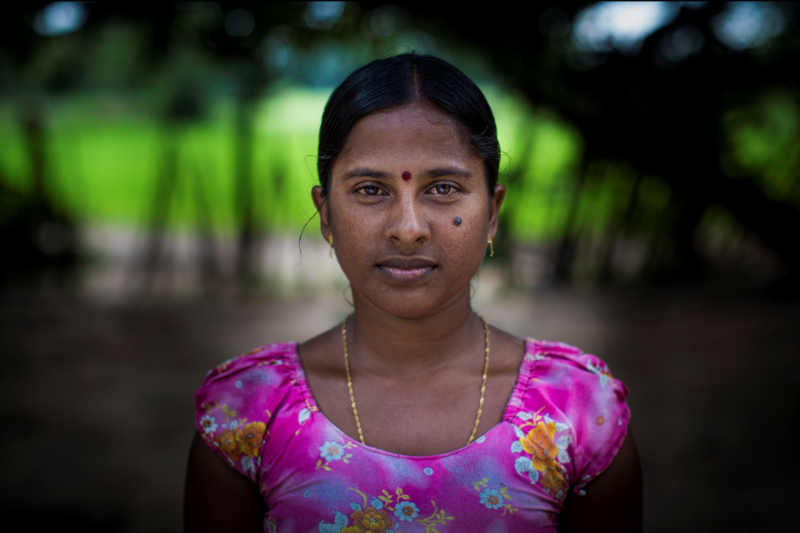 In the district of Batticaloa, along with many other parts of Sri Lanka, poverty and gender inequality prevails. 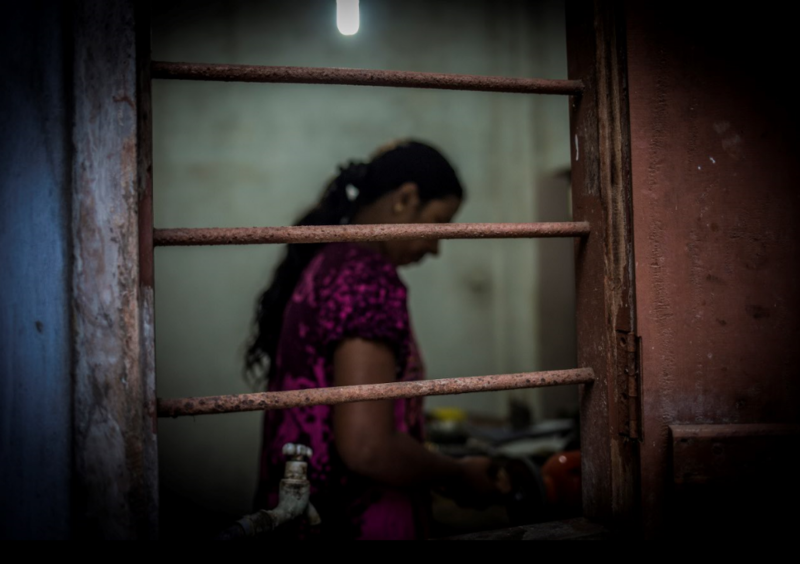 Many women are forced to live “inside a corner of the house”, as one woman I met expressed it. Without education, without money, without power over their own lives. We Effect is committed to change this. In a four-year project with local NGO, Kaviya Self Development Women Centre, We Effect will support 800 women in Batticaloa to become entrepreneurs. 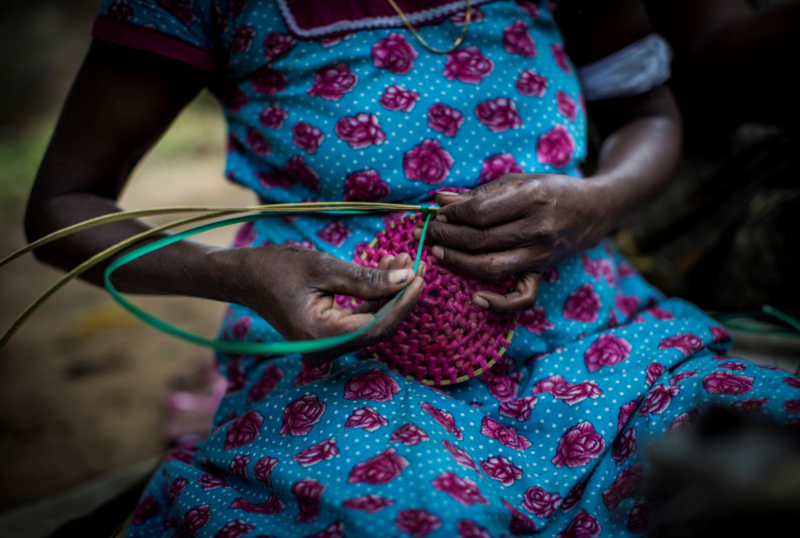 Women will use natural and local produce, such as palm leaves and coconuts, to create craft products. 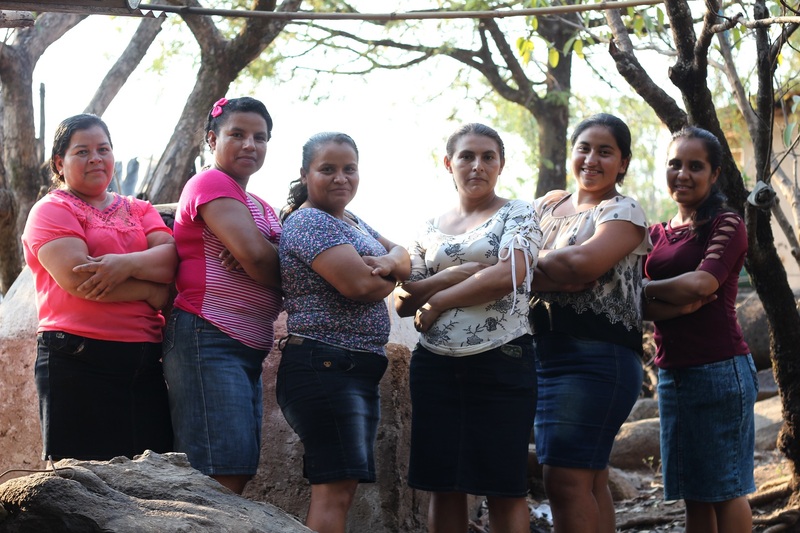 Through this intervention, the women will get their own incomes, the opportunity to save and borrow money, get leadership training, and be able to raise their voices and demand their rights. They will, hopefully, break out of their houses and run less risk of being subjected to violence and abuse. Vijeyalaxmi, her sister Vijayakanthi and other women from the village are supported by the project. They have already formed the group Mayuri Crafts that make and sell baskets, hats and bags from leaves of local palmyra trees. But incomes are very low. Sometimes they only earn 1 000 rupees per month and person, equivalent to seven US dollars. – Our lives are very tough, incomes are so uncertain. We need a stable market for our products and better training at basket manufacturing, says Vijayakanthi, who is the leader of Mayuri Crafts. To be successful, they also need the men’s support, Vijayakanthi explains. Many women lack confidence and are afraid to leave their houses. They want to work and to become leaders, but don’t dare. 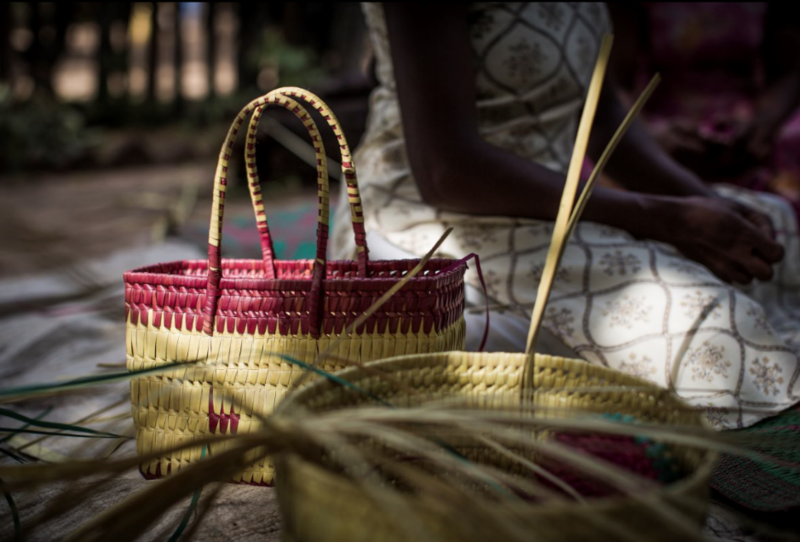 – The baskets bring some money, but we need more knowledge and training to sell more. Today, I am dependent on my husband and I also must contribute to the family income. I want the freedom to buy anything for my children and provide education for them. Vijayakanthi, leader of Mayuri Crafts. – Over 100,000 people were reportedly killed in the 25-year civil war between Sri Lankan government forces and LTTE terrorist group. – The war hit Sri Lanka hard and stopped economic development, especially in rural areas. Women were affected the hardest. They were often taken out of school, married as children and were subjected to violence and abuse. This spiral of evil has not ended. 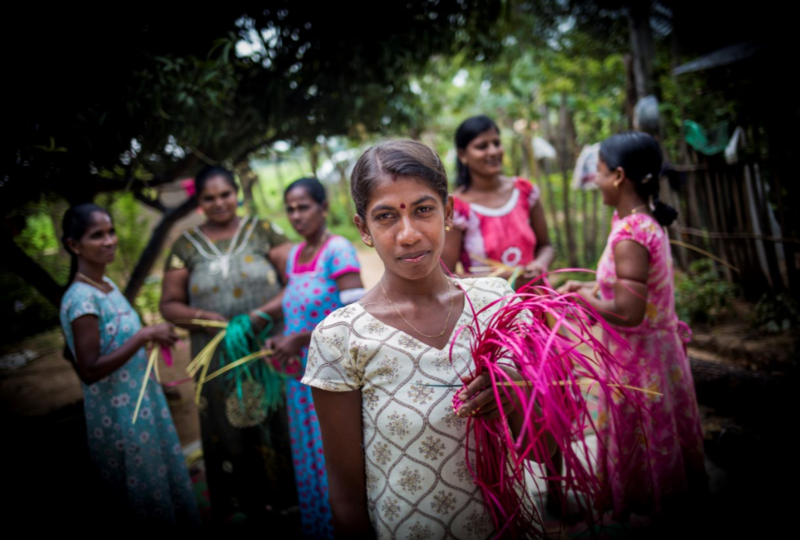 – Poverty in Sri Lanka has fallen in recent years, but in rural areas and especially among women, people rarely earn more than two dollars a day. Many women earn no money at all. – Traditions and norms dictate that women are suitable for cooking, feeding and raising children. Not to work and make money. – Women have almost no influence over politics in Sri Lanka. Just under six percent of the seats in parliament are held by women. Among the elected officials at municipal level, the proportion is even lower. Two percent of the elected local representatives are women.